Kingsford Smith Airport Parking, Just 10 Minutes Away! Use Gateway Motorway. Exit left onto Exit 110 Southern Cross Way, Northern Suburbs(Old Gateway) just past the Shell Service Station on your right. 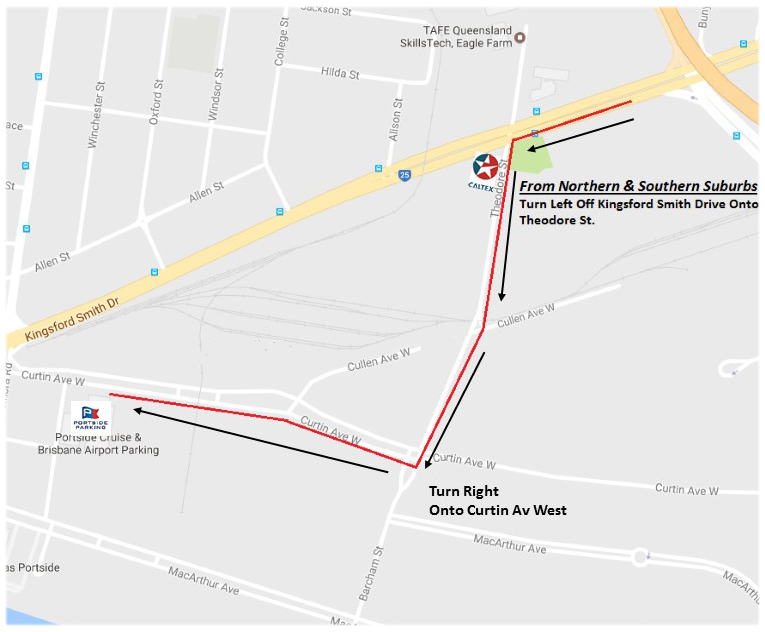 Continue south and take the Eagle Farm & CityExit following signs to Kingsford Smith Drive. Turn Left into Kingsford Smith Drive heading towards City for approx 900 metres. Contininue South aprox 500m on Theodore St to the first intersection then turn right onto Curtin Av West. Follow Curtin Av West aprox 400m until you find us on the Left. Use Gateway Motorway. Travel over Gateway Bridge staying in the left hand lanes. Exit left at the bottom of the bridge onto Southern Cross Way and follow signs to Kingsford Smith Drive & Brisbane City. Turn Left into Kingsford Smith Drive heading towards City for approx 200 metres. Turn Left into Theodore St just before the Caltex Service Station. Follow along Curtin av West aprox 400m until you find us on the left. 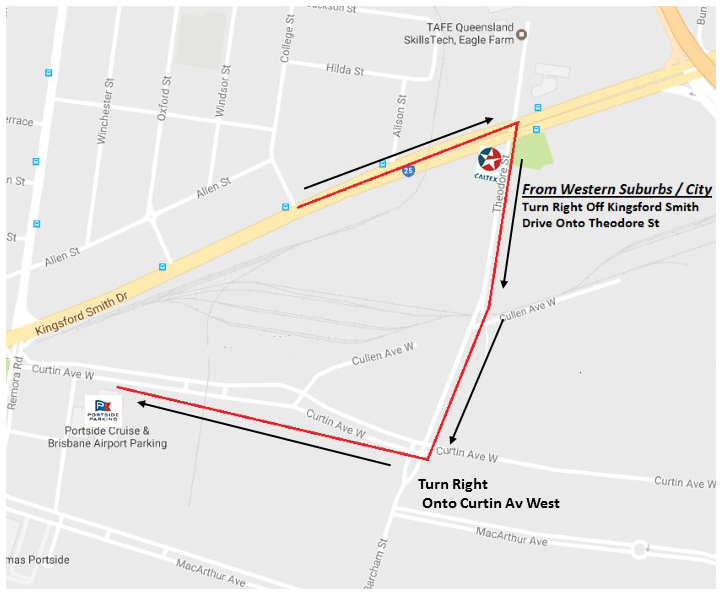 If you are using the clem 7 tunnel stay in the far left hand lane on exit and follow the Kingsford Smith Drive Signs. Do Not continue into the Airport Link Tunnel.